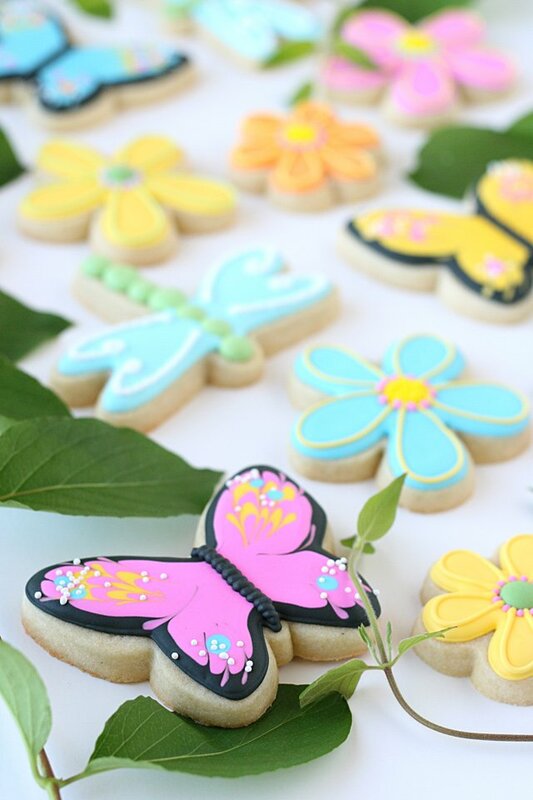 Let’s celebrate spring with some pretty flower, butterfly and dragonfly decorated cookies! Here in California we’ve been enjoying lots of beautiful spring weather, and I’ve got the gardening bug! I always try to get my backyard in order as early in the season as possible so we can enjoy it all summer long (and not have to pull to many weeds in the heat of the summer). I’ve been weeding and planting and enjoying the spring flowers as well as lots of bees and butterflies. 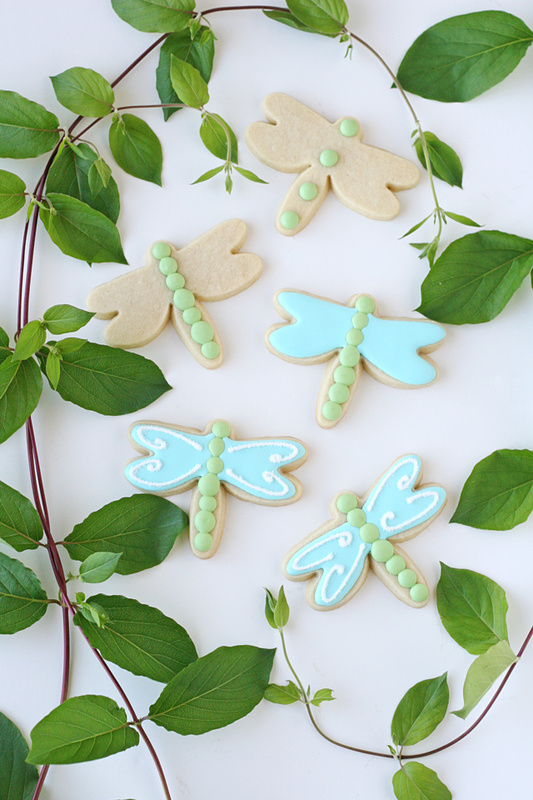 I’ve yet to see any dragonflies, as I think it’s a bit early, but we can surely enjoy the cookie version now! 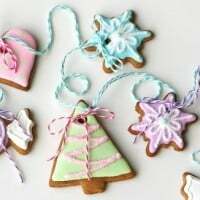 I’ve shared step-by-step tutorials for Butterfly Cookies and Flower Cookies in the past, so feel free to hop on over to those posts for the details on those two designs. 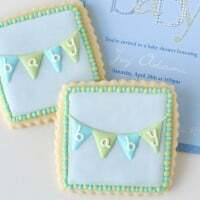 Following the image below, start by adding large dots of (medium consistency) icing in the color of your choice (I used pale green) to start creating the body. Allow the first set of dots to set up (about 30 minutes) before adding dots in between to create the full body. When the body portion is dry (about 2 hours), outline and then fill in the wing portion (using medium/thin consistency icing). Allow the wings to dry fully (several hours). Once the base icing on the wings is dry, add the white details (using medium/thick icing), then as soon as you piped the detailing, sprinkle white sanding sugar on top to give added dimension. Use a small, soft paint brush to dust off any excess sugar. Set cookie aside, and allow to dry (1-2 hours or more) before packaging or stacking the cookies. 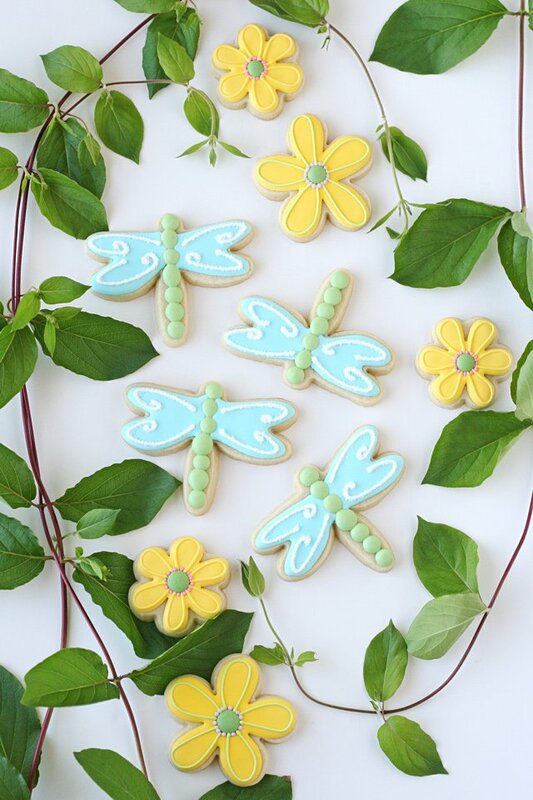 This dragonfly design ads just a touch of whimsy to spring and summer cookie sets. Pair this design with simple flowers, pretty hydrangeas, butterflies, leaves, sunshine cookies, or any fun spring or summer designs. 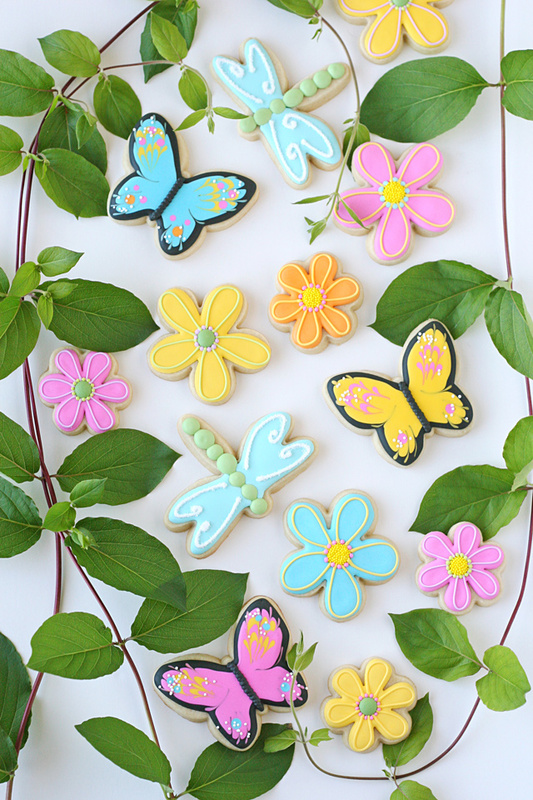 These pretty cookies are enough to give anyone spring fever! Lovely as always, my dear! Gorgeous! 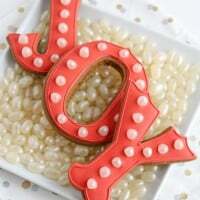 They are perfect for a spring party! You are such a talented cookie decorator!! These are so pretty and perfect for Spring. Love the dragonfly cookies! Perfect size! 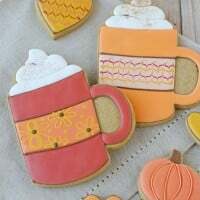 Could you share where you got the cookie cutter from? These are absolutely gorgeous! I can’t believe they are edible!